Making sloe gin sounds more complicated than it is. The basic recipe includes three ingredients. And the key is patience. Pick your sloe berries from the Blackthorn tree or cut out the middle man and grab them straight from the store. As time goes on you’ll work out what you like best. Get experimenting by combining your favourite flavours to add layers of depth to your silky smooth drink. First you need some sloe berries. If you’re picking them by hand make sure they’re ripe by squeezing them with your finger and thumb. If they pop easily they’re ready to go. And if you have loads of berries left, it’s a good idea to make up a few bottles. Experimenting with different techniques and flavours for each bottle. Put the berries in the sink with cold water. Leave them to soak for 10 minutes. This should coax any insects or maggots out of the berries. Dry the berries off, put them in a freezer and leave for 1 to 2 days. The freezer emulates the first frost and makes the berries burst. Other recipes tell you to pierce the berries to release their flavour. But freezing them saves you the hassle and releases the most flavour. Let the berries thaw before you put them in the bottle. Fill the bottle half way with the berries and sugar. Top up the bottle with gin. It’s good to pick a gin with a high juniper content as juniper blends perfectly with the sloe berries. Seal the lid and give the bottle a gentle spin to mix all the ingredients. Lay the bottle on its side and leave in a cool dark place. Twist it 180° every other day for two months to help dissolve the sugar and distribute the amazing purple colour. You should leave your gin to mature for a minimum of two months. Three is recommended. And six is the absolute maximum. Any longer than six and you risk spoiling the fruit. A few days before your first glass, give it a taste for sweetness. Think it’s not sweet enough? Make a simple sugar syrup, wait for it to cool down and add it to your gin. TIP: To make simple sugar syrup you need to dissolve equal parts sugar and water in a saucepan over a low heat until the mixture has reduced. After it’s finished maturing it’s time to filter your gin. Drape a muslin cloth over a measuring jug and slowly pour the gin into the jug. The cloth should catch any bits you don’t want in your smooth drink. 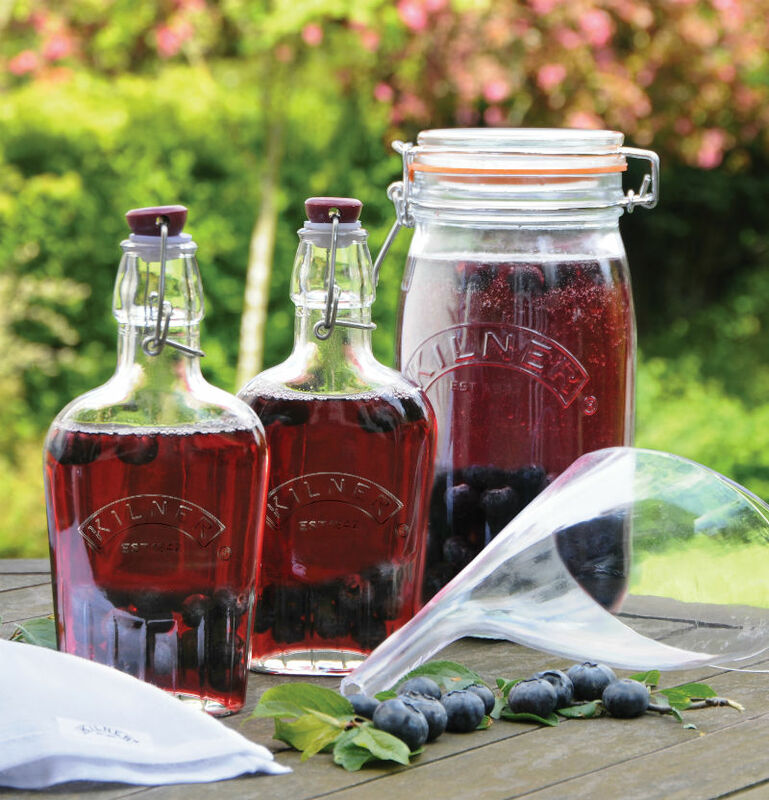 Now you can bottle your sloe gin and leave it for as long as you want. There are stories of people leaving their bottled gin in the back of a cupboard for as long as 18 years. Resulting in the smoothest drink. But who can wait that long?